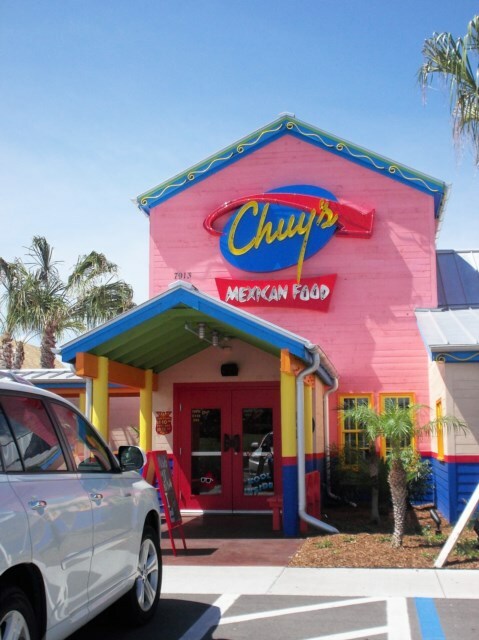 We always try to visit a new restaurant on each of our Florida trips and this holiday we decided it should be Chuys (pronounced Chew-ees). 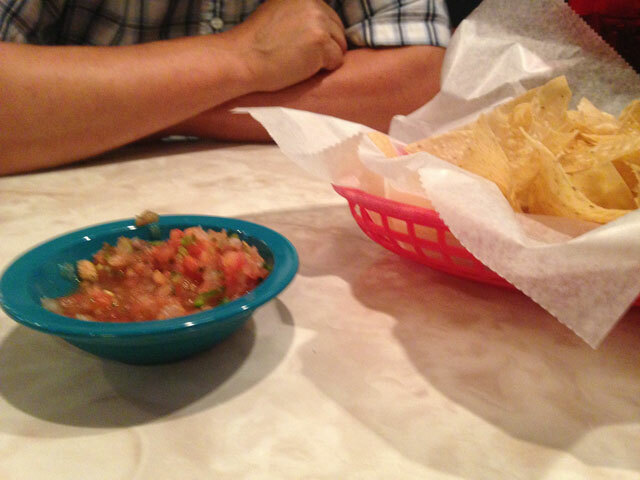 We had not heard of this Mexican restaurant before but the online reviews were excellent, so we thought we would give it a try. We were met with warm smiles when we arrived and quickly shown to a booth. While we were looking at the menu a bowl of fresh, warm nachos and a spicy salsa dip were put on the table and we dived in – they were delicious. 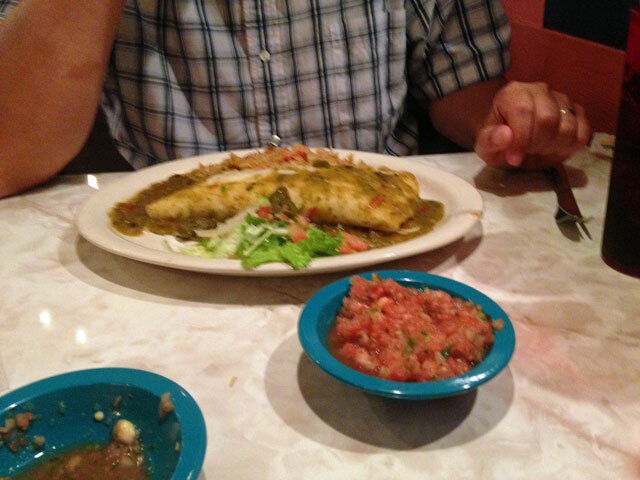 If you like Mexican (Tex-mex) food, you will love this place. The food is authentic, very tasty and comes in huge portions. The nachos and dip are endless and they will continue to top up your bowl until you have had enough. The décor is quite unique and eclectic and, as we found out on our subsequent visits, each section of the restaurant is decorated differently to the others. 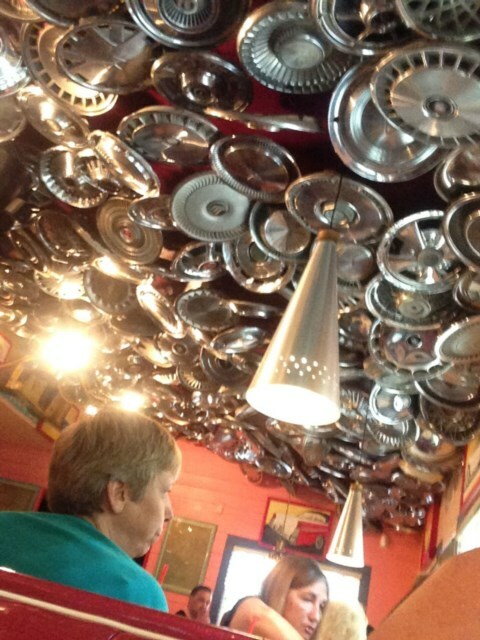 Think 50’s diner, add faux palm trees with fairy lights, rainbow colour walls and metal wheel hubs covering the ceiling. The food is made from scratch and is soooo tasty. There was a good choice of main courses plus daily ‘specials’. My other half ordered the ‘Elvis Presley Memorial Combo’ which was three kinds of enchiladas, tacos, chips and chili con queso – a huge portion which he only just managed to finish (he made it a personal challenge to do so) and I had the steak fajitas – fresh, delicious and with numerous side dishes of salad, guacamole, refried beans and rice and unlimited tortillas. 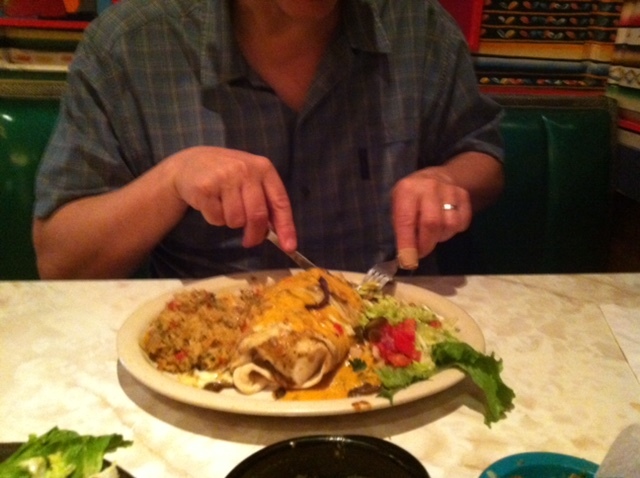 The boys chose burritos (also huge portions) which they declared were the best they had ever tasted. The waitress was lovely - very helpful and talked through the menu and checked on us, regularly refilling our drinks, nachos etc. We finished our meal and declared we were completely stuffed, but the boys’ eyes lit up when our waitress asked whether we had room for dessert. 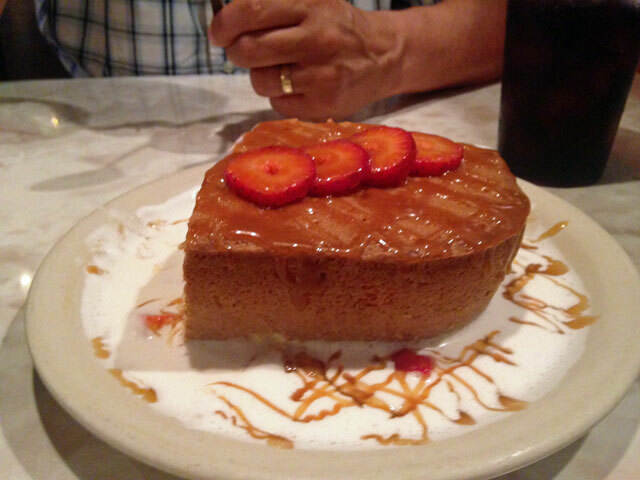 She recommended the Tres Leches and we couldn’t resist – so one dessert with four spoons was duly placed on our table. It’s basically a cake soaked in cream and is absolutely divine, very light and easy to eat, even after the huge portions – but probably not good for those on a diet. 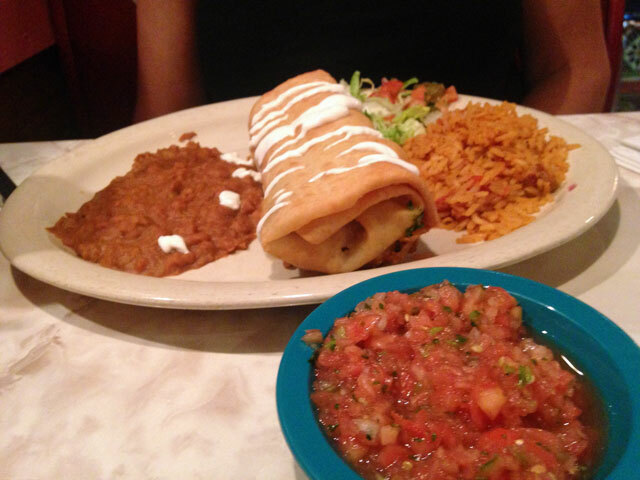 It’s fair to say that Chuys is now one of our favourite restaurants in Florida and is a place we return to again and again. Viewed 1403 times since 6 July 2016.